Frank Giustra-backed Fiore Gold (TSXV: F) announced today that its Pan Mine, located in east-central Nevada, registered a 130 per cent production growth in Q2 2018, compared to the previous quarter. 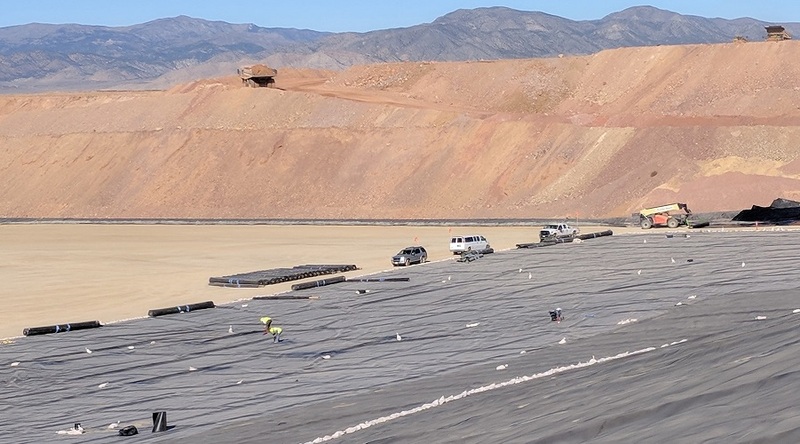 The Carlin-style, open-pit, heap-leach operation generated 8,695 ounces of gold during the second fiscal quarter that ended on March 31, 2018, which allowed the company to sell 8,673 ounces of the yellow metal. Given these results, the company expects total production for the year to be near the lower end of its guidance range of 35-40,000 oz, with gold production weighted towards the second half of FY2018 as higher-grade ore is mined. “With the mine operating at its planned capacity for the past two quarters we’re seeing the leach pads working at a steady state, with no change in gold inventory over the past quarter and a positive impact on working capital. The initial results from the two test cells on the leach pad suggest that adding a crushing circuit should have a very positive impact on recoveries that significantly outweighs the added operating costs and the cost of capital,” Tim Warman, Chief Executive Officer of the Toronto-based firm, said in a media statement. Warman added that exploration work aimed at increasing the resource and reserve base at Pan is underway, with drilling planned to continue throughout the remainder of 2018 at both Pan and the adjacent Gold Rock project. The executive explained that firm wants to advance exploration and development at the latter, and increase gold production in the former to between 40-50,000 ounces per year by fiscal 2019 to be able to reach its goal of becoming a 150,000-ounce-per-year gold producer.